Internet censorship is commonplace these days in schools, universities and organizations where it is unwanted for people to access certain services (usually social networks like Twitter, Facebook etc., video streaming websites like YouTube, Met café, and P2P services) in order to either save bandwidth, or work time. The usual way used by those who want to get around this blocking is to access blocked services and websites through web proxies or proxy servers, which can be slow, insecure and inefficient at times. Virtual Private Network (VPN) is a technique that gives all the benefits of accessing blocked content online while having none of the disadvantages suffered by proxies. VPN uses authorization and encryption to connect securely to external hosts thereby giving you a chance to visit restricted and blocked websites easily from a network. Usually, super VPN service is not free, but we have a list of top 2 free VPN clients that you can use to get around website blocking. you need to create only one profile, and you can use the same profile on your multiple devices. TunnelBear is an award-winning VPN software, and also offers a Chrome extension to access the unrestricted internet. CyberGhost VPN lets you use the server from 30+ countries. They have free version & paid version too. The free version has limited number of countries that you can use. The free version is available for Mac, Windows & Android. You can also use CyberGhost VPN on your iPhone using their iOS app. A secure SSL/TLS based VPN service which provides an extra dimension of security and privacy to the websites you visit. 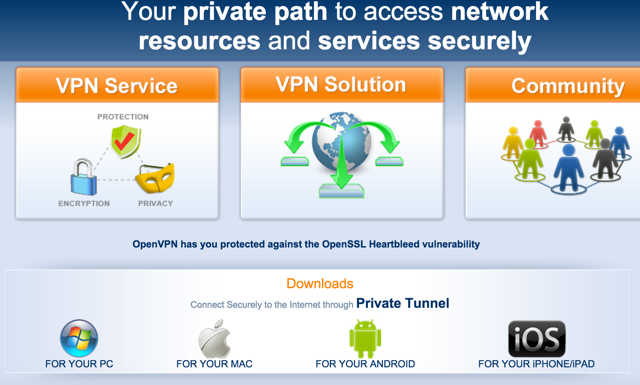 You need to install the OpenVPN client software to use the OpenVPN service that only works on desktop operating systems (Microsoft Windows, Mac OS and Linux) with no mobile operating system support.